Happy Monday from Players HQ! 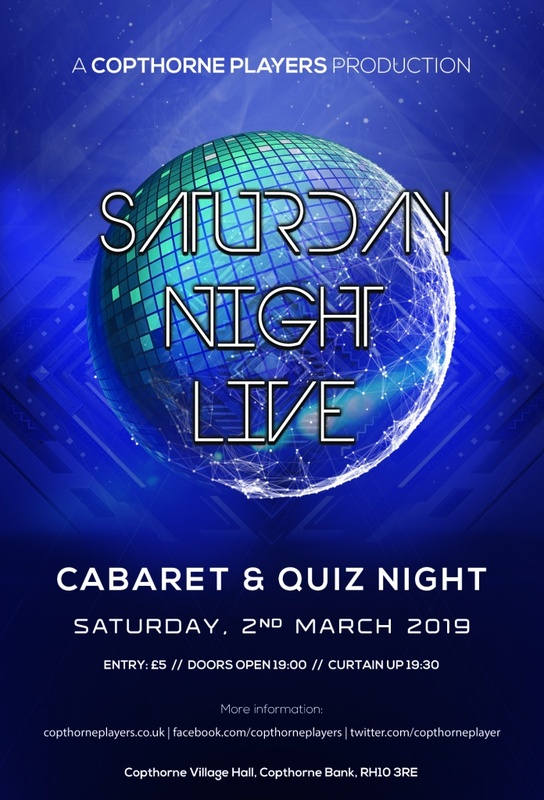 It’s cold, the weather is miserable but we’ve been super busy and are now here to cheer you up on this dreary Monday as we proudly announce our next Cabaret & Quiz Night. Presenting SATURDAY NIGHT LIVE! Taking place on 2nd March 2019 at Copthorne Village Hall, join us for an evening of cabaret variety performances followed by one of our famous quizzes. Doors open at 19:00 with performances starting from 19:30.